USCITA: DISPONIBILE DA FINE AGOSTO 2019 (PERIODO INDICATIVO) Da Diamond Select, un set di action figures dal videogame Kingdom Hearts 3. Ogni figura ha svariati punti di snodo e misura 16cm. 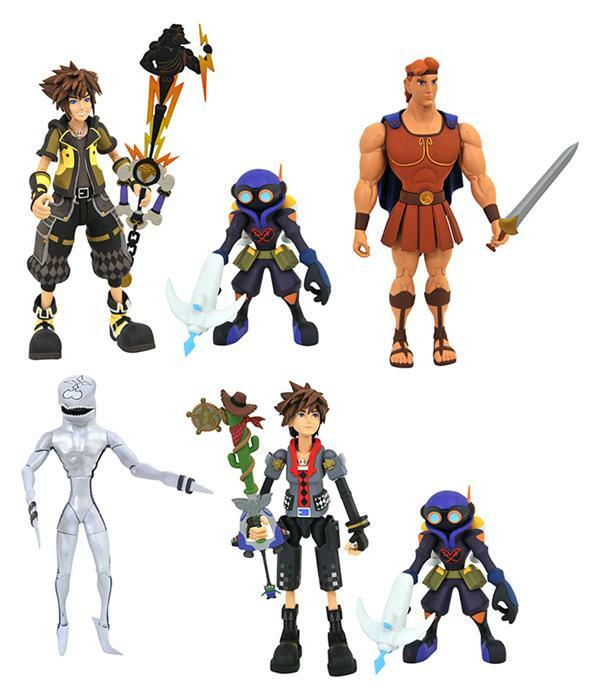 Il set include: Hercules&Dusk, Toy Story Sora&Air Soldier Deputy Keyblade, Guardian form Sora&Air Soldier, Hero`s Origin Keyblade.